One company just seems to be permanently stuck in the spotlight: Tesla (NASDAQ:TLSA). Elon Musk has continued to self-inflict PR disasters one after another, and not only that, but there is a disturbing trend of top talent bailing out on the automaker. There is growing concern about the inner workings of Tesla and many are beginning to question why proven executives are leaving. Curiously, all this comes at a time when the company is oh-so-close to churning out profitable quarters. Elon Musk: Smoking weed acceptable for the CEO of a publicly traded company? 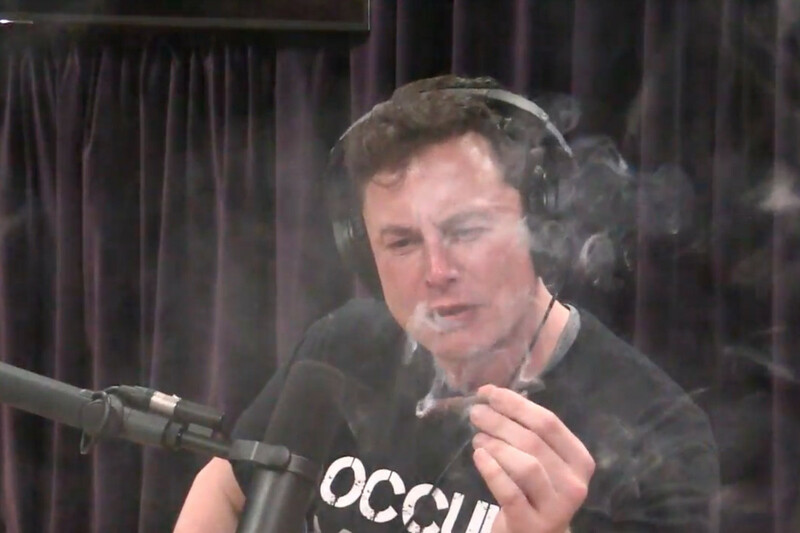 Elon Musk, CEO of Tesla was seen smoking a “blunt”, a cigar filled with marijuana, on the Joe Rogan podcast yesterday. 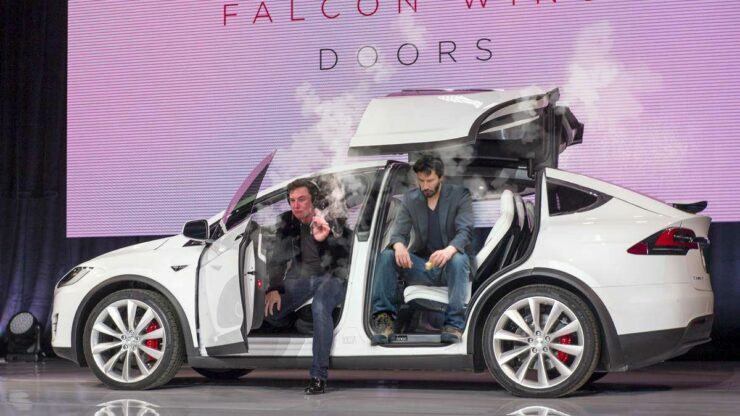 Musk, when offered a hit by Rogan, asked, “It’s legal right?” before opting to take a puff. And indeed this may not strike many as all that daring or risque, but remember that Mr. Musk is the CEO of a multi-billion dollar publicly traded company. The slightest misstep of ANY CEO can send stock prices tumbling or soaring. We got to see just that, a spike and a drop in just a few days, all from the possibly illegal Elon Musk Tweet that was posted exactly a month ago today. Musk brazenly declared that he had funding in the neighborhood of $50 billion USD from unnamed sources secured and ready to take the company private. Shockingly this was almost a complete blindside to the board of directors at Tesla and just two weeks after that tweet Musk recanted and did his best to explain why he had claimed he had funding “secured”. Investors have been on Mr. Musk’s increasingly wild ride for some time now and it appears as though things aren’t getting any smoother any time soon. Institutional investors are historically very conservative and the interview gave fuel to the fire in regards to some pundits saying Musk is increasingly “tired” and overwhelmed at the workload he’s taken upon himself. Massive amounts of Tesla stock were dumped today and prices plummeted as low as ten percent today after two key executives announced they were leaving the company. Prices are currently hovering at just under a seven percent drop on the day, a ~$4 billion dollar drop in market capitalization. Chief Accounting Officer Dave Morton tendered his resignation this past Tuesday according to an 8K filing that was released early this morning before trading opened up. Dave Morton was a longtime veteran of computer hardware company Seagate Technology, where he served as the CFO. The move came as a total surprise. In a nutshell, things got too hectic and too loud. Keep this in mind, Mr. Morton was due a $10 million dollar new hire grant that would vest after four years with the company, and he willingly walked away from it. That must be cause for concern among even the most stalwart Tesla-defenders. The market was again rocked by a second unexpected departure. Gabrielle Toledano, vice president of human resources, announced that she would not be returning after her leave of absence. Another of Tesla’s top executives Sarah O’Brien, VP of Communications, spent her last day at the Tesla HQ offices today in a planned departure. This marks slightly more than two dozen vice president departures since 2016. Executive turnover at the VP level is indeed somewhat common but at this frequency, you have to question just what is going on behind the scenes at Tesla. And all of this would probably be just background noise if Elon Musk hadn’t put Tesla in this position of total scrutiny in the first place. After all, Tesla fundamentals have been improving and the automaker is looking like it might finally turn the corner and become profitable. Has Elon Musk taken Tesla as far as he can? And now that the technology that underpins Tesla’s products has matured, is it time for a more traditional CEO to step in and help the company level-off into a stable and profitable enterprise?